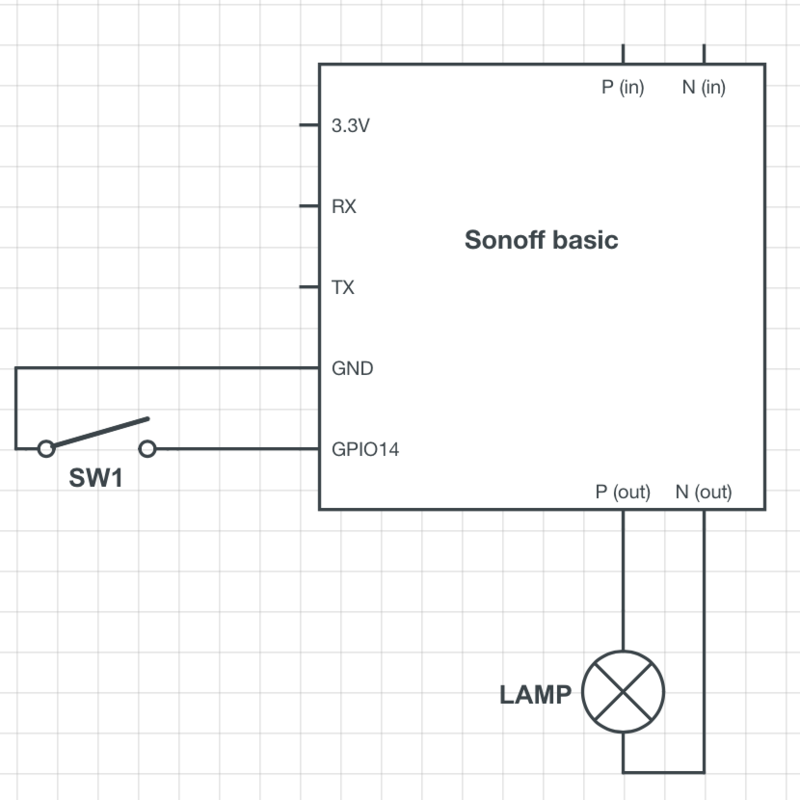 I've the following setup based on a Sonoff basic flashed with the Sonoff-Tasmota firmware. I've connected a wall switch (not push button) to the GPI14 and GND pin header of the Sonoff in order to be able to control the state of the lamp not only with the WIFI but with physical input has well. The the Sonoff-Tasmota firmware allow to sense the change of the Input (ON->OFF or OFF->ON) of the GPIO14 an reflect this input change to the status of the LAMP. This setup has worked perfectly for weeks. But since a couple of day the the lamp is flickering (ON->OFF, OFF->ON in intermittence). What is really happening (the logs clearly showed a change of the GPIO14 input ON->OFF / OFF->ON) ? 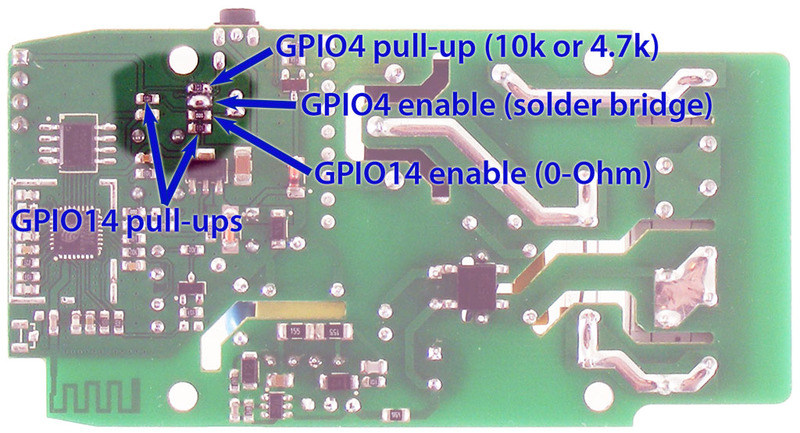 There are already pull-up resistors available on GPIO14 according to this, why would add an other solve the problem ? And capacitor this：http://www.kynix.com/Detail/3664/38FB4430.html ? Is there an other way to address this issue ?